Richard Pietro socializes Open Government & Open Data by creating Civic Engagement as Art. 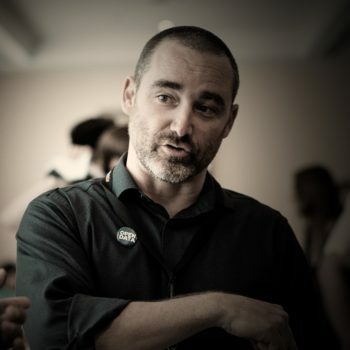 Some of his projects include the 2014 Open Government Tour, the Open Toronto Meetup Group, and “Open” – The World’s first short film on Open Government, Open Data, and Open Source. He also worked collaboratively with the Ontario Ministry of Housing to create the “Open Data in Reverse” method as a way to design, publish, and activate Open Data sets. This initiative helped the ministry win a nationally recognized award for engagement. Most recently his Open Data Iron Chef workshop has garnered attention due to its innovative way for introducing Open Government & Open Data to students at both the secondary and university levels.